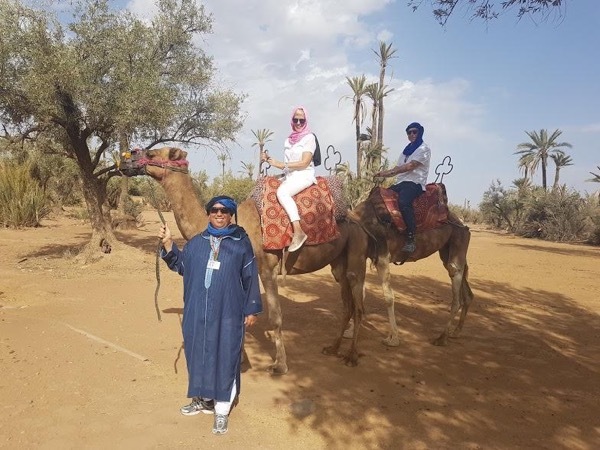 Traveler Reviews for Private Tour in Marrakech, Morocco by Tour Guide Mohamed (Simo) A. About Mohamed (Simo) A. Message Mohamed (Simo) A.
Mohamed was so easy to work with, super nice, and very accommodating. Even though it rained we had a really great time and would do it again. After we had tea in the tent, we asked Mohamed to bring the car so we didn't have to stay out in the rain on the camels. He was very quick to make this happen, and then offered to take us to see other sights in Marrakech. We would recommend this tour to anyone who likes adventure!